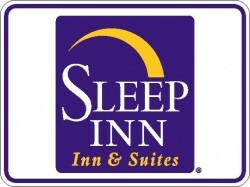 Welcome to the Sleep Inn & Suites® Edgewood Near Aberdeen Proving Grounds hotel in Edgewood! Cal Ripken Stadium is also nearby, and Edgewood hotels provide easy access to a healthy number of restaurants throughout the region. When you’re ready to settle in for the night, our spacious guest rooms feature microwaves, refrigerators, coffee makers, irons and ironing boards. Select rooms offer wet bars and sofa sleepers. Long-distance travelers will appreciate our guest laundry services. Dream better here at the Sleep Inn & Suites Edgewood Near Aberdeen Proving Grounds. This Edgewood, MD hotel offers cozy guest rooms with all the amenities you expect. Book today!